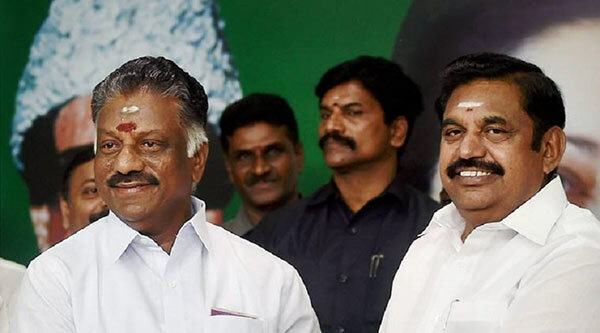 The old political issue has been revived by the AIADMK in the backdrop of the recent remarks of former Sri Lankan president Mahinda Rajapaksa that the Indian government helped his country during the final war against the Liberation Tigers of Tamil Eelam (LTTE) in 2009. Rajapaksa was at the helm when the nearly three-decade-long ethnic strife in Sri Lanka ended in 2009 with the defeat of the LTTE while the DMK was part of the Congress-led UPA that ruled India then. Both the Congress and DMK had faced criticism for India’s reported assistance to Sri Lanka then and their failure to prevent casualties of Tamils despite being in power. Hitting back, DMK alleged the proposed AIADMK protest was a bid to divert attention from the corruption charges it faced. AIADMK said the meetings would be addressed by Chief Minister K Palaniswami at Salem, Deputy Chief Minister O Panneerselvam at Theni and Lok Sabha Deputy Speaker M Thambidurai at Karur. The party had on September 19 adopted a resolution at a meeting here alleging that the DMK and Congress were responsible for the killings of thousands of Tamils during the war. Addressing at a symposium organised by the Virat Hindustan Sangam led by BJP MP Subramanian Swamy in Delhi on September 12, Rajapaksa had said India’s “abiding friendship” was amply demonstrated by its rapid response to Sri Lanka’s needs at the time (2009), both material and moral. Dismissing the charge, DMK spokesperson K S Radhakrishnan listed the “contributions” of DMK for Tamils in Sri Lanka and the “flip-flops” of the AIADMK in the decades old Eelam Tamils issue from the days of late Chief Minister M G Ramachandran. “Since they (AIADMK regime) face allegations of corruption they are doing this to divert attention and thus have become a laughing stock,” he told PTI. DMK has approached the Madras High Court alleging corruption charges against Chief Minister K Panneerselvam, and Deputy Chief Minister O Panneerselvam among others, which have been rejected by the AIADMK as politically motivated.